The hot weather is making it's return to Middle TN as temperatures here in Cookeville are expected to top 90° this afternoon. Look for continuing highs in the 90's each day through the end of this week. Rain possibilities come back late Friday and into the weekend. Our friends in West TN are under a Heat Advisory through tomorrow. See post from Erik at Memphis Weather! 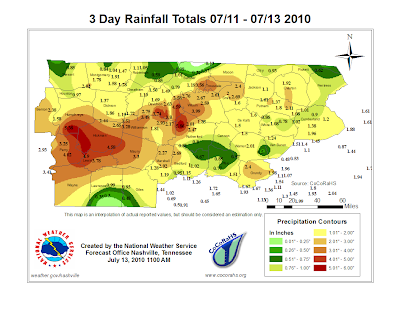 Check out the graphic below showing the last 3 days worth of rains. 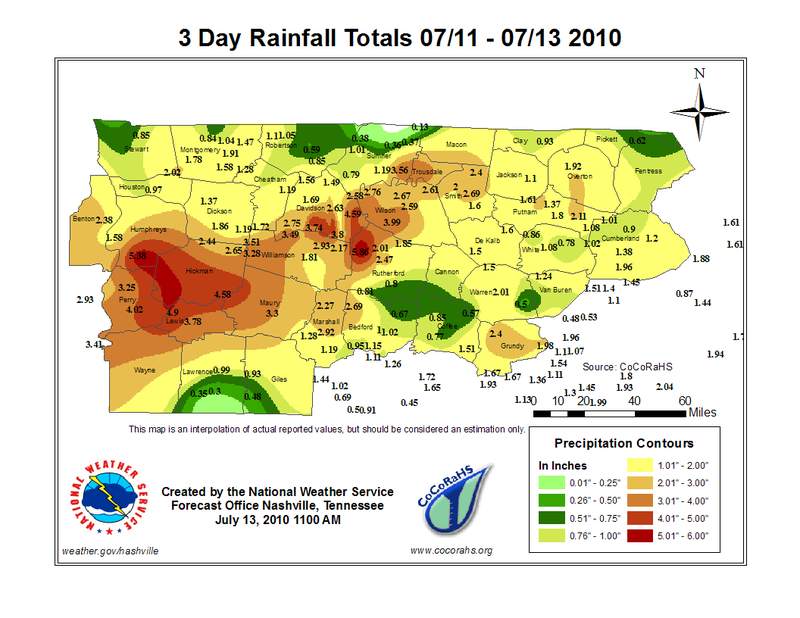 It sure helped to break what we were beginning to consider a new drought phase.